2012 McConnel PA 6570 Hedgecutter. This telescopic hedgecutter has a reach of 6.5 metres and comes with revolution controls and EDS. It has only 1600 hours on the clock. The machine has only one previous owner and was used around an estate in the UK. It has done no contract work. We have fully checked the machine through and fitted new flails, it is in absolutely mint condition throughout. 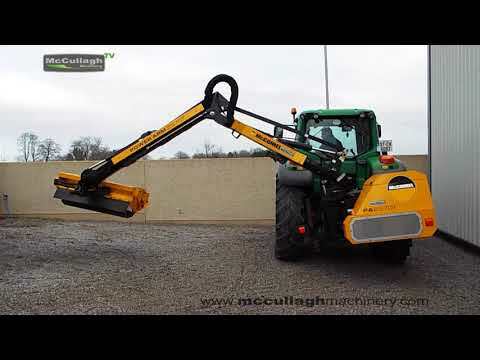 To make an enquiry about 2012 McConnel PA 6570 Hedgecutter call us on ROI 048 6634 8213 | NI 028 6634 8213.